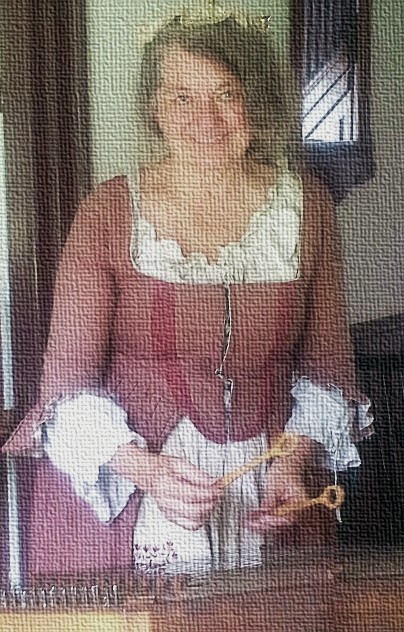 (P89/17) TRENTON – A concert featuring traditional harvest songs performed by balladeer Linda Russell will help mark the turning of the seasons at the New Jersey State Park Service’s Old Dutch Parsonage-Wallace House historic site in Somerville, Somerset County, on Saturday, Sept. 30. The concert will begin at 1:30 p.m. and will be held at the Old Dutch Parsonage, adjacent to the interpretive center located at 71 Somerset Street. A $10 per-person donation is suggested. Advance registration is recommended by calling (908) 725-1015 or by emailing whouse3@verizon.net. Please register early. Seating is limited. Russell is a musician from New York City who brings America’s history to life through song. Playing the hammered and mountain dulcimers, penny whistle, and guitar, Russell performs ballads, love songs, dance tunes, and working songs written in early America and brought over from the Old World. She has served for many years as musical historian for the National Park Service at Federal Hall National Memorial in Manhattan and has performed at historic sites throughout New York and New Jersey. The Old Dutch Parsonage and Wallace House are administered by the New Jersey State Park Service, with the support of the Old Dutch Parsonage-Wallace House Association. The houses are listed on the New Jersey and National Registers of Historic Places. The Old Dutch Parsonage was constructed in 1751 by the congregations of three local Dutch Reform churches. The house was first occupied by the Rev. John Frelinghuysen and his family until his death in 1754. His successor, the Rev. Jacob Hardenbergh, was the principal founder and first president of Queens College in New Brunswick, now Rutgers University. The Wallace House, built in 1776, served as George Washington’s winter headquarters during his army’s Middlebrook encampment of 1778-1779. The house was the country residence of retired Philadelphia merchant John Wallace. Washington rented the use of half the house for himself and his staff, paying Wallace $1,000. During his stay, Washington hosted foreign dignitaries and planned strategies for the spring military campaign. The house is fully restored and furnished with period furniture. The parking lot is next to the interpretive center and Wallace House. For directions and more information about the sites, visit: www.nj.gov/dep/parksandforests/historic/olddutch-wallace/odwh-wallacehouse.htm and www.wallacehouseassociation.org or call (908) 725-1015.